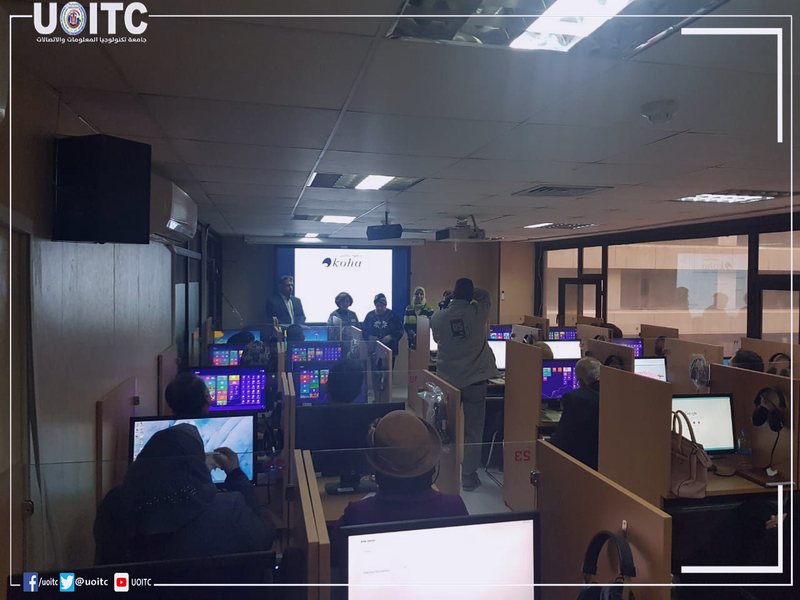 UoITC Organizes Training Course on Unified Iraqi Electronic Library. UoITC Organizes Training Course on Unified Iraqi Electronic Library The Continuious Education Center at the University of Information Technology and Communications, in cooperation with the Department of Research and Development in the Ministry of Higher Education and Scientific Research, organized a training course about the unified Iraqi electronic library. 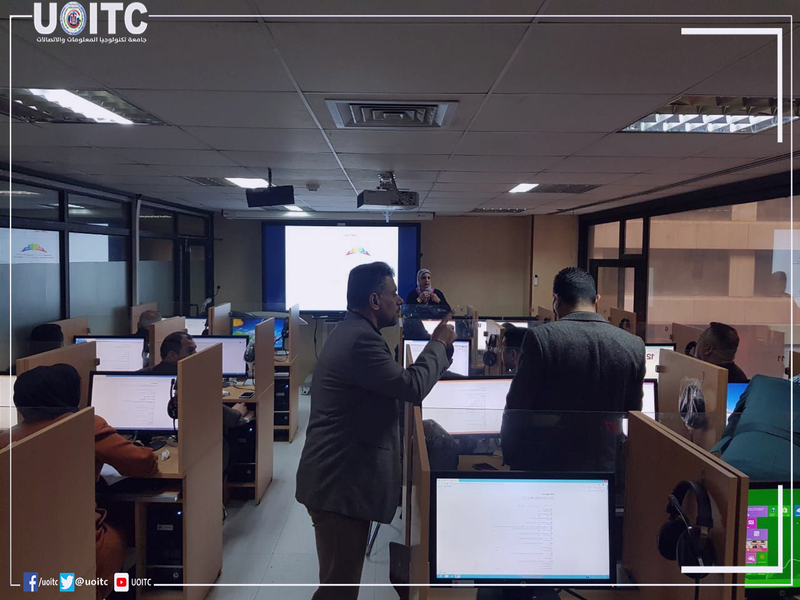 The course included the training on uploading the bibliographic records of the books of their central libraries to the unified Iraqi electronic library. The course aims at unifying library management systems in a single system with many characteristics that are consistent with what is done globally. This library will be constantly under development. It is worth noting that the ministry assigned a committee headed by the Undersecretary for Scientific Affairs and the membership of professors from the Department of Research and Development, along with a number of university professors who are specialized in the technical matters of the library system. The course was attended by Mr."Shukr Hamid Juma" and the assistant head of the Trustees of "Farah Muayad Mahmoud" from our university and Dr. "Faiza Adib al-Bayati" from the Department of Research and Development( the technical staff of this library) This course is the third of its kind organized by The Continuious Education Center at the University of Information Technology and Communications under the supervision of the Scientific Assistant to the President of the University Dr. Jane Jalil Astephan.